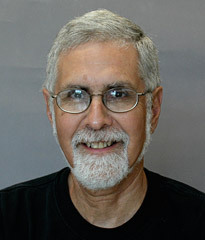 His archaeological research includes the development of complex societies in eastern North America and the Andes of Peru and Bolivia; the early colonial world of the southern United States, particularly Native American interactions with European colonial powers; and the broader issues related to social change. His work has appeared in the journals Current Anthropology, American Antiquity, Latin American Antiquity, Ethnohistory, Native South, and Southeastern Archaeology. Since 2001 Beck has been a co-director, with David Moore and Chris Rodning, of the Exploring Joara Project, which focuses on the archaeology of Native American societies in the western North Carolina Piedmont and on the nature of early encounters between these native groups and European colonists. For his MA fieldwork at the University of Alabama in 1996, he conducted a survey of archaeological sites around the Berry site, location of the native town of Joara, and also conducted the first systematic survey of Berry. Rob identified the first Spanish artifacts from Berry in 1994, and with David Moore he co-directed a magnetometer survey of the Berry site in 1997; it was during this survey that the five burned buildings that constitute Juan Pardo's Fort San Juan were first discovered. His work at the Berry site has been funded by the National Science Foundation and the National Geographic Society. From 1998-2001 Dr. Beck conducted fieldwork in the Andes Mountains of Bolivia and Peru, studying the origins of complex societies in the Lake Titicaca Basin. After working at the site of Chiripa in the southern basin and Pukara-related sites in the northern basin, he directed excavations at the Middle Formative site of Alto Pukara, Bolivia from 2000-2001, work that formed the basis of his Ph.D dissertation at Northwestern University. These excavations revealed a complex of small mortuary chambers atop a central platform that tied the people of Alto Pukara to their social and cosmological landscapes. His work at Alto Pukara was funded by the National Science Foundation and the Wenner-Gren Foundation for Anthropological Research. Museum of Anthropology North American Archaeology Curator John Speth works in two very different parts of the world and on two very different kinds of questions about past human societies. In the Southwestern United States, Speth studies the economic ties that developed in the 14th and 15th century between Plains buffalo hunters and Southwestern Pueblo farmers. With the help of many undergraduate students, Speth has been excavating two villages in southeastern New Mexico. At the Henderson Site, a community of at least 75 rooms, two phases of occupation have been recognized: an Early Phase, which begins about A.D. 1275; and a Late Phase, which lasted from the early 1300s until the mid- to late 1300s, when Henderson was abandoned. The occupation of Bloom Mound, a smaller community less than a mile from Henderson, picks up more or less where Henderson left off, somewhere in the late 1300s, its occupation continuing into the early or mid-1400s. The Roswell villages document a dramatic increase in exchange with the Puebloan world to the west. The Henderson villagers may have contributed meat and other products of the bison hunt to the exchange system, products that they themselves procured by undertaking long-distance hunting expeditions into the Southern Plains. In return, the Roswell communities received pottery, turquoise, blankets, and maize (corn) produced by Puebloan farmers. Information gathered by local amateurs who dug at Bloom Mound in the 1930s, augmented by the University of Michigan's recent excavations, underscore Bloom's role as a small trading center of some affluence, with much greater quantities of exotic ceramics and other imported items, including Mexican copper bells, than were found at Henderson. However, a dramatic falloff in bison remains at Bloom, despite abundant evidence that the community remained thoroughly engaged in long-distance exchange with the Puebloan world, seems to suggest that Bloom's inhabitants had shifted their role in the exchange system from hunters to middlemen. Ultimately, competition over access to the bison herds and to trading partners led to tensions between hunters and farmers that erupted around AD 1450 into deadly conflict. Amateurs digging at Bloom in the 1930s found more than a dozen unburied skeletons, many burned; and Michigan's excavations revealed further evidence of violence, all directed at "non-combatants," that is, infants, children, young adult women, and elderly men. The violence was not mere raiding; this was warfare with the intent of annihilating the inhabitants. Soon thereafter the "middleman" villages in southeastern New Mexico were abandoned. Speth's other research interests take him back in time more than 50,000 years from the Roswell villages to the time of Neanderthals, the last anatomically pre-modern humans to inhabit Europe and western Asia before the appearance, roughly 40,000 years ago, of fully modern humans. The lifeways and mental capacities of Neanderthals are a topic of tremendous debate nowadays, with opinions divided as to whether they were essentially like us but handicapped by a much more limited technology, or instead were fundamentally different from us, lacking the ability to relate to their social and physical world through symbolic means. Speth's research looks in particular at Neanderthal subsistence strategies through the detailed study of the fossilized bones of the animals they hunted and ate. These faunal remains were recovered by nearly a decade of excavation at Kebara Cave, a 50,000 to 60,000 year old Neanderthal site located on Mt. Carmel near Haifa (Israel). The results to date suggest that the Kebara Neanderthals were extremely effective hunters, capable of bringing down large and quite dangerous game like aurochs (ancestor of modern cattle), wild boar, red deer, and horses. Their hunting practices reflect considerable planning depth, and the ability to coordinate the activities and efforts of peers in ways that are strikingly similar to what ethnologists observe among modern hunters and gatherers like the Kalahari Bushmen (San), Hadza, and other well-studied hunting peoples. Thus, the research points to an ancestor who was much like us cognitively, though constrained by very small populations and a far more limited technology. My archaeological research in southern India focuses on two quite different periods of human history separated by nearly 5000 years along the Tungabhadra River in modern Karnataka state. For many years, I have conducted archaeological research in and around the ruins of the imperial capital of Vijayanagara, an enormous city that ruled all of southern India in the 13th-16th centuries AD. There, my work was focused on understanding the structures and organization of urban life and political economies in early empires - how, why, and under what circumstances rulers of ancient imperial states sought to manage and control the people they ruled, and particularly diverse aspects of economic production and consumption? I am particularly interested in exploring the production and significance of a diverse array of material goods or 'crafts,' ranging from the pottery ubiquitous in so many archaeological sites, to metal artifacts, sculpture and architecture, textiles, and even poetry. In my work, I seek to understand both the nature and organization of production and consumption and the significance of goods to defining social status, identity, and meaning. My other project in the Tungabhadra region takes me back to the first millennium BC, when economic differentiation and economic specializations were first developing in the region. With my collaborators Kathleen Morrison (University of Chicago) and R. Gopal (Karnataka Directorate of Archaeology and Museums), I am excavating an early town site, Kadebakele, that lies just a few kilometers from the heart of ancient Vijayanagara. Here too, I am interested in studying craft production and material culture, and the role of economic differentiation and adoption of new material forms in the sociopolitical transformations that characterize this period. As curator of the Asian collections in the Museum of Anthropology, I have also had the opportunity to expand my interests in new directions by working on old collections. With a number of graduate students, we have undertaken new studies of ceramics and ornaments excavated in the Philippines in the early 1920s, and with textile scholar Grace Beardsley, we have published a study on 18th-early 20th century Kashmiri shawls in the Museum of Anthropology collections. Henry T. Wright's earliest archaeological research was on the shores of the Chesapeake Bay and in the Appalachians, recording the remains of prehistoric camp and village sites, and learning to view the past in regional and ecological perspectives. He came to the University of Michigan as an undergraduate, and worked for the Museum of Anthropology on prehistoric archeological sites in the Midwest and in France. As a graduate student at the University of Chicago, he was introduced to the ancient Near East, the planet's earliest civilization, by Robert Adams. He researched early urban systems in southern Iraq for his Ph.D. dissertation and returned to Ann Arbor to join the staff at the Museum of Anthropology as it was being transformed from a program concerned largely with North America into an international program focused on comparative evolutionary studies of the early complex societies throughout the planet. He spent many years doing fieldwork in the mountains and lowlands of Southern Iran, studying the development of the first state administrations and urban economies between 4500 B.C.and 2500 B.C. The revolution in Iran stopped archaeological research. He then decided to commence a program on the development of the more recent - but poorly understood - civilization on Madagascar. With the help of archaeologists from Madagascar, France, Sweden and the U.S. and of many enthusiastic Malagasy students, he pursued a program of archaeological exploration and research all over this fascinating mini-continent and on the nearby Comoro Islands. 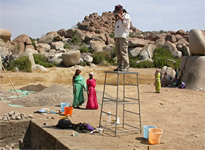 Throughout this time he has been a Research Associate of the Musee d'Art et d'Archeologie in Antananarivo. Much of this work has been done with paleoecologists trying to understand changes in Madagascar's unusual ecosystems. The theoretical constructs we have built in Madagascar help us to understand the earliest civilizations that arose millennia earlier in places like Mesopotamia and Mesoamerica. Wright continues research today on Early Mesopotamia, in Turkey and Syria; for the last 15 years, he also has been participating in regional archaeological projects in China. He is affiliated with the Santa Fe Institute for the Study of Complex Systems. Richard Redding is curator in the Archaeozoology Division of the Museum of Anthropology. A specialist in the study of animal bones from archaeological contexts, Redding is interested in the role of subsistence behavior in the evolution of culture. Recently he has worked in the Middle East, Egypt, and China. His focus has been on the shift to complex societies in Egypt and the shift from hunting and gathering to food production in southeastern Turkey. Redding has been working on Old Kingdom sites in Egypt since 1983. He excavated an Old Kingdom village in the Nile Delta in 1984, 1986, and 1988. 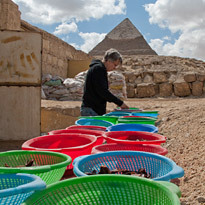 Since 1990, he has worked almost every winter at the Workers' Village near the Pyramids of Giza (pictured at right). The Workers' Village and associated areas supported and housed the work force that built the Pyramid of Menken're. Excavations at Giza will continue for several years. Redding has been using the faunal and floral data from these Egyptian sites to examine the socio-economic infrastructure of the Old Kingdom. The site at Giza was a provisioned site that received animals from producing sites. The village site in the Nile Delta was a producing site. In the laboratory, Redding is working on the faunal remains from the site of Hallan Chemi in southeastern Turkey. This is an Epipaleolithic site that exhibits a shift over time in socio-economic structure. In the lower three meters, the inhabitants hunted and gathered and exhibit no evidence of social stratification. In the upper one meter of the site, elaborate stone wands and bowls appear. The wands are thought to be "wands of authority." Also in the upper meter, the pigs may have been managed in a system like that used among tribal groups in New Guinea. The wild sheep also may have been managed, with juvenile males preferentially hunted. 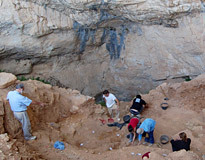 Redding is also working on the faunal remains from the site of Franchti Cave, Greece. The excavations at this site produced material from the late Paleolithic through the Neolithic. The site was apparently occupied seasonally, and with the introduction of domestic sheep and goats, the inhabitants were nomadic herders who hunted. Redding's other recent work includes: excavations at early food producing sites in China; the analysis of fauna from Greco-Roman sites in Northern Israel; and work on faunal remains from First Intermediate period and Greco-Roman sites in Upper Egypt. O'Shea maintains active research interests in Eastern Europe and North America. His topical interests include: tribal societies, prehistoric ecology and economy, spatial analysis, ethnohistory, Native North America and later European Prehistory. His research in Native North America focuses on the late pre-contact and contact periods in the Upper Great Lakes and the Great Plains. In Europe, his research centers on the eastern Carpathian Basin region of Hungary, Romania and northern Yugoslavia during the later Neolithic through Bronze Age. In his work in Michigan, O'Shea has become increasingly interested in understanding the importance of the Great Lakes to our region's long history, both in recent times and in the distant past. He is pursuing two underwater archaeological projects in Lake Huron. The first documents the many 19th century shipwrecks that lie beneath the lake, while the other documents sites and features associated with ancient caribou hunters of the Paleo-Indian period. In addition, O'Shea directs a series of programs in local archaeology, including the Archaeology in an Urban Setting project within the City of Ann Arbor, and the Vanishing Farmlands Survey in Washtenaw County. Robert Whallon's research focuses on several important issues in European and Middle-eastern Prehistory, the Ecology and evolution of Hunter-gatherers, quantitative methods and spatial analysis, and the Prehistory of Languages. He has been involved during the years in field work in different Europeans countries, with a focus on the Middle and Upper Palaeolithic as well as Mesolithic, in Dordogne in France, Keban Dam (East central Turkey), in Netherlands, Italy, Boznia-Herzegovina, Serbia and Montenegro. Kent V. Flannery's research has taken him to Mexico, Guatemala, Peru and Iran. He began by studying the transition from hunting and gathering to agriculture and animal domestication. In Iran, this involved the domestication of wheat, barley, sheep, goats, cattle and pigs. In Mexico, it involved corn, beans, squash and turkeys. In Peru, it involved gourds, cotton, manioc, sweet potatoes, llamas and guinea pigs. He went on to study the way successful farming and herding led to population increase and the rise of societies with hereditary rulers and commoners, monumental architecture, warfare, craft specialization and highly developed irrigation systems. This latter research continues today. Her archaeological fieldwork has taken her to three parts of Latin America: (1) the Maya region of Guatemala and Yucatán; (2) the Zapotec region of Oaxaca, Mexico; and (3) the coast of Peru. Her study of Maya hieroglyphic writing allowed her to date the first emergence of Maya kingdoms, and document the political hierarchy of large and small towns below their rulers' capital cities. Knowledge of Maya writing allowed her to translate the much earlier Zapotec hieroglyphs, and show that Zapotec civilization moved through three political stages: (1) a period of conquest covering more than 10,000 square miles; (2) diplomatic relations with the rival Teotihuacan civilization; and (3) a period when hieroglyphic writing was used to record the genealogies of royal families. She is currently studying a small kingdom on the coast of Peru that was conquered by the Inca in AD 1470.